Organic molecules, the substance that serves as the basis for life, were discovered on the dwarf planet Ceres. Using infrared mapping technology, NASA’s Dawn spacecraft spotted the molecules in a 400-square-mile area, near the Ernutet crater. 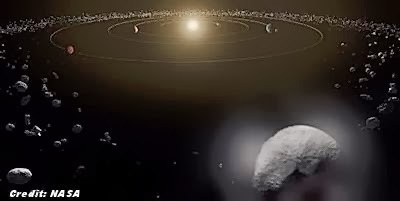 The study team reports that the material likely developed on the dwarf planet, instead of arriving through other objects like asteroids or comets. ..."It joins Mars and several satellites of the giant planets in the list of locations in the solar system that may harbor life."